Murrieta, CA — Love is in the air this month, and local children of incarcerated parents most certainly felt cherished when they attended a Valentine Celebration for Angel Tree families. 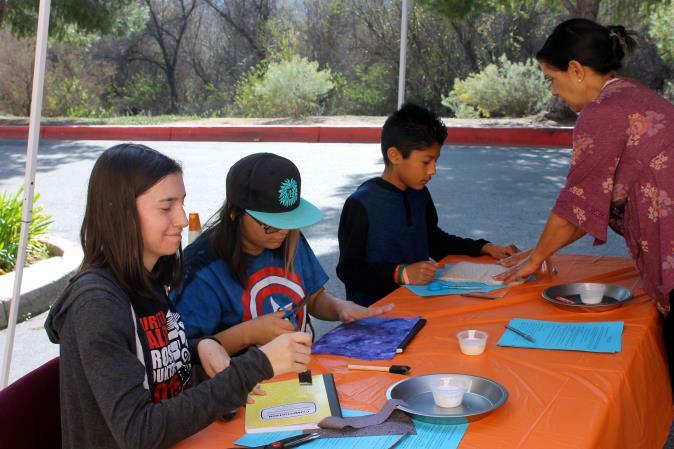 The Feb. 4 event organized by Wildomar-based nonprofit Community Outreach Ministry was held at Wellness and More on Madison Avenue and featured lunch and a series of free workshops that focused not only on physical health but emotional health. Guests arrived to find the A+ Dental Vista Community Clinic mobile unit onsite. From 9 a.m. to noon, 21 patients were seen, of which 13 were children who took turns receiving free dental assessments and fluoride treatments aboard the mobile dental unit. Additionally, 18 sealants were performed. Two adults made appointments to be seen at VCC Lake Elsinore. While children were being treated, VCC Lake Elsinore staff member Cristina Urquiza performed 15 blood pressure screenings on adult caretakers and provided education material to patients. “We also gave out toothbrushes, toothpaste and if needed, jump ropes and stress balls and made appointments right on the van for them to come to the clinic,” said Lorraine Rodriquez, program coordinator for VCC Lake Elsinore. Following the dental workshop, attendees of the Valentine’s-themed event were treated to lunch catered by Maria’s Street Tacos and engaged in a water safety program by Splash Medics. Children then headed outdoors to take part in a stories and craft workshop led by author and creative writing instructor Liz Gonzalez (lizgonzalez.com) of Uptown Word and Arts. Gonzalez, who is widely published and teaches for Angel’s Gate Cultural Center and UCLA Extension Writers Program, obtained a Poets and Writers grant supported inpart from the James Irvine Foundation and the Hearst Foundations to conduct a basic creative writing lesson and a fun and inspiring writing exercise. Each child was provided with a composition book to take home, and Cynthia Duran, a craft and sewing expert for 20 years, taught them how to use decoupage and fabric scraps to create a one-of-a-kind cover for the books. Gonzalez and Duran noted that teaching these valuable skills fosters creativity and boosts self-esteem. For some it becomes a discovery of a talent that can be developed into something more. But the main objective is to provide the opportunity for the children to explore and see their potential. Meanwhile, caregivers attended an indoor workshop, which included a handout and discussion about “Breaking the Cycle of Incarceration Model,” authored by Dr. Mona Davies, who co-founded Community Outreach Ministry with her husband, Bob. The nonprofit partners with Angel Tree® A Program of Prison Fellowship®, in order to reach Southwest Riverside County youth whose parent or parents are incarcerated. As part of the workshop, caregivers of these Angel Tree children also received a resource list put together by Davies. Kathleen McCall, a mental health and drug and alcohol recovery counselor/instructor, was on hand to offer further support to these caregivers. Jennifer Hernandez, an independent distributor of Herbalife and the owner of Wellness and More located at 25377 Madison Ave., Suite 104, in Murrieta, said she was happy to provide her facility for the event. “If someone is doing something for the community, I always open up my place to them,” Hernandez said. The Valentine Celebration was just one of several events Community Outreach Ministry puts on throughout the year for these local at-risk youth. In addition to summer camp, the youth and their families are invited to an annual Angel Tree Christmas Party. Davies gave special thanks to Natalie Morgan of Builders of Faith, an Angel Tree® coordinator from Temecula, and Kathryn Veenhuizen, of Farmers Insurance on Los Alamos Road in Murrieta for organizing and donating clothing for the families to take home and for Janice Hare of Mt. View Church in Wildomar, for volunteering with COM year-round, reaching out to Angel Tree families. 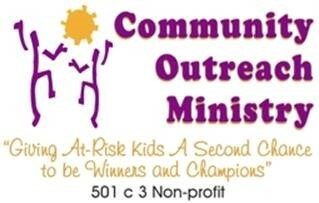 Community Outreach Ministry and Builders of Faith are hosting an Angel Tree Easter Celebration from 1 p.m. to 4 p.m. Sunday, April 2 at the Temecula Community Center. Caption: Sewing and craft expert Cynthia Duran helps Angel Tree youth create covers for composition books using decoupage and fabric scraps.